Now you can repair your designer style Toto brand toilet easily and economically with the JAG PLUMBING PRODUCTS replacement toilet tank handle. This handle is made to replace the Toto metal handle model number THU141. JAG Plumbing Products strives to bring on-line Customers the best replacement and repair parts. Experts in the field of plumbing repair parts; JAG Plumbing offers customers a selection of economic solutions for their every-day home plumbing repairs. The Team at JAG scours North America to bring The Home Depot customers unique, hard to find parts of the highest quality. Repair your toilet quickly and easily: Replacement Plastic Bendable Tank Lever, Bend to any angle required, Trim to Fit 4/6/8/9 . JAG Plumbing Products strives to bring customers the best products in Canada and make them available on the best online shopping platform: Homedepot.ca - Owned and Operated in Ajax, Ontario, Canada, JAG PLUMBING prides itself on offering Home Depot Customers durable, high quality, non OEM replacement plumbing parts. Replacement Toilet Tank Lever, Fits Kohler Toilets, Wellworth II, Standard Design, Chrome . JAG Plumbing Products strives to bring customers the best products in Canada and make them available on the best online shopping platform: Homedepot.ca - Owned and Operated in Ajax, Ontario, Canada, JAG PLUMBING prides itself on offering Home Depot Customers durable, high quality, non OEM replacement plumbing parts. 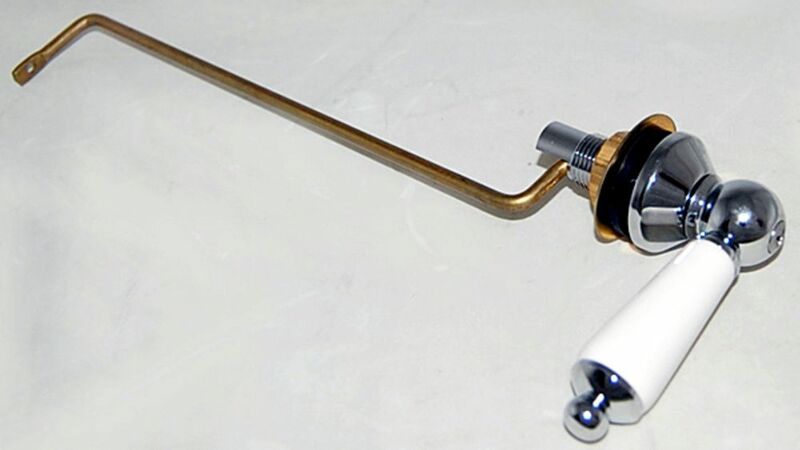 Repair your VORTENS Toilet: replacement Metal Toilet Tank Trip Lever, chrome handle fits model V189 . JAG Plumbing Products strives to bring customers the best products in Canada and make them available on the best online shopping platform: Homedepot.ca - Owned and Operated in Ajax, Ontario, Canada, JAG PLUMBING prides itself on offering Home Depot Customers durable, high quality, non OEM replacement plumbing parts. Replacement Tank Lever fits American Standard Champion Toilet Model #738473-0020A . JAG Plumbing Products strives to bring customers the best products in Canada and make them available on the best online shopping platform: Homedepot.ca - Owned and Operated in Ajax, Ontario, Canada, JAG PLUMBING prides itself on offering Home Depot Customers durable, high quality, non OEM replacement plumbing parts. Side Mount Toilet Tank Lever for Toto Toilets in Chrome with Colonial White Handle Now you can repair your designer style Toto brand toilet easily and economically with the JAG PLUMBING PRODUCTS replacement toilet tank handle. This handle is made to replace the Toto metal handle model number THU141. JAG Plumbing Products strives to bring on-line Customers the best replacement and repair parts. Experts in the field of plumbing repair parts; JAG Plumbing offers customers a selection of economic solutions for their every-day home plumbing repairs. The Team at JAG scours North America to bring The Home Depot customers unique, hard to find parts of the highest quality.